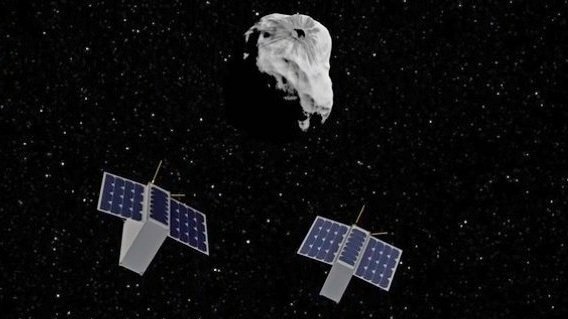 PARIS (ESA PR) — As the world marvels at the hopping mini-rovers deployed on asteroid Ryugu by Japan’s Hayabusa2, ESA is due to decide on the CubeSats planned for delivery to a binary asteroid system by its proposed Hera mission. 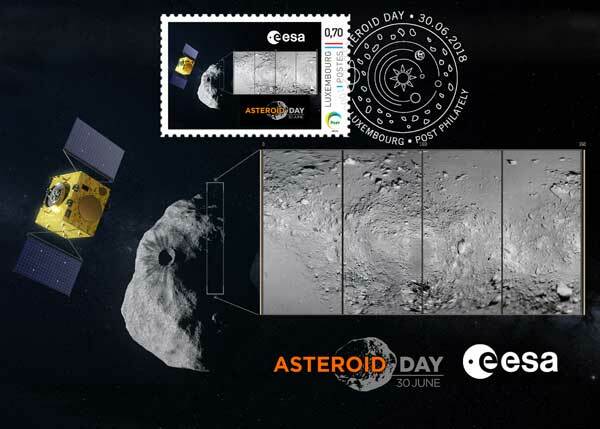 PARIS (ESA PR) — In a unique cooperation between ESA, Asteroid Day and Luxembourg Post, a limited edition set of first-day stamps and postcards is being released for this year’s Asteroid Day. 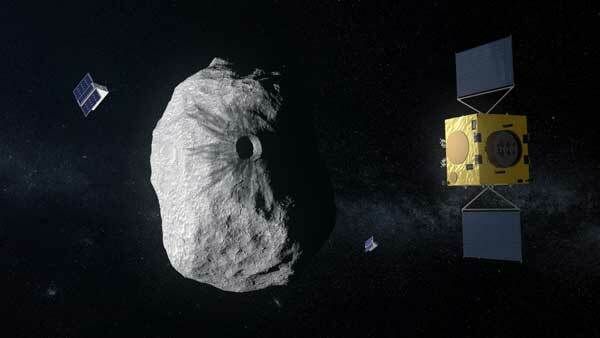 Asteroid Day is a global campaign to increase awareness about asteroids and the threats and opportunities they pose. 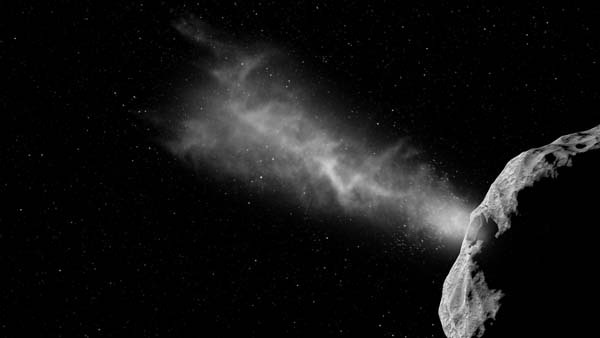 Celebrated each year on 30 June, Asteroid Day marks the largest asteroid impact event experienced on Earth in recorded history, the 1908 Tunguska event. 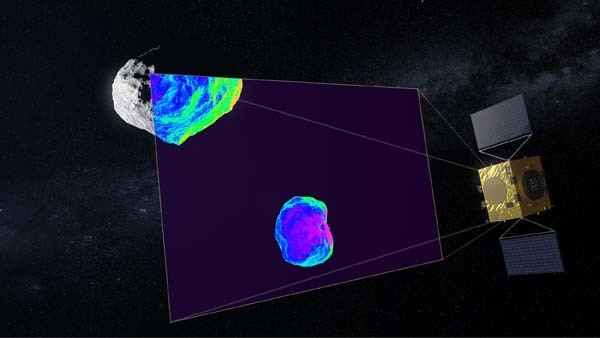 PARIS (ESA PR) — Planning for humankind’s first mission to a binary asteroid system has entered its next engineering phase. ESA’s proposed Hera mission would also be Europe’s contribution to an ambitious planetary defence experiment. Named for the Greek goddess of marriage, Hera would fly to the Didymos pair of Near-Earth asteroids: the 780 m-diameter mountain-sized main body is orbited by a 160 m moon, informally called ‘Didymoon’, about the same size as the Great Pyramid of Giza. 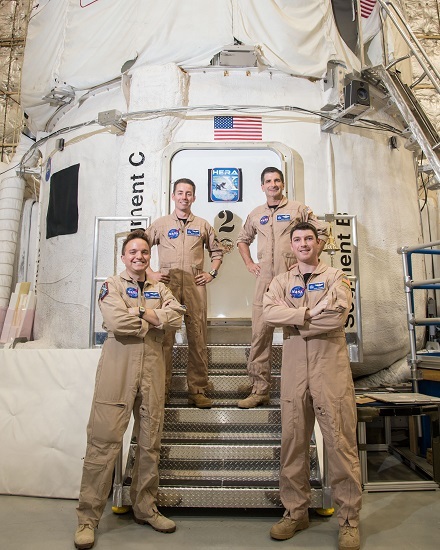 HOUSTON (NASA PR — NASA’s Human Research Program and the German Space Agency (DLR) will fund six proposals to investigate possible changes in the behavioral health and performance of astronauts on future deep space exploration missions. The selected proposals aim to address the impact of the spaceflight environment on various aspects of astronaut health, including cognition, sleep loss and team functioning. This work is helping NASA develop the knowledge and countermeasures necessary to ensure astronauts remain healthy as we venture beyond low-Earth orbit to visit an asteroid and eventually the journey to Mars.